For almost a year and a half, Bapu has been delivering his discourses on Shree Saisatcharitra. Prior to that Bapu started Panchsheel Examination (February 1998). He also delivered lectures and conducted practicals as well. All of us were then, once again, newly introduced to Saisatcharitra. On February 11, 1999, Bapu explained the importance of appearing for Panchasheel examinations. Bapu further says,”We typically tend to be in a hurry to finish parayan. As a result, one loses one’s attention and focus in the story being narrated in the Granth. We fall short in understanding thoughts, feelings and the meaning behind those stories. We tend to remember only the miracle created by Sainath. We tend to let go of the other words and their intended meaning. Therefore, no such miracles take place in our lives. One, importantly, must know how the miracle has taken place, when it has taken place and for whom it has taken place. One would understand, from the sequence of events, the behaviour one is expected to project in order for any miracle to take place in one’s life. One has to understand it to be able to internalize the miracle. The miracle that Baba (Sainath) created is the result of the incident that might have taken place. It is the gist of the story. The other day, after chanting Sainath’s 11 promises, while delivering his discourse, Bapu said that the most important thing to remember from Saisatcharitra is that Hemadpant who wrote the Saisatcharitra, the person because of whom we have been able to understand Sainath, was made in- charge of all things. Sainath’s first ever idol was received by Hemadpant at his residence. This way, Sainath appeared in Hemadpant’s dream and informed him that Sainath was going to visit Hemadpant’s home the very next day for lunch (Holi Pournima 1911). He had indicated that he would visit his home for Lunch around noon and Sainath actually did. 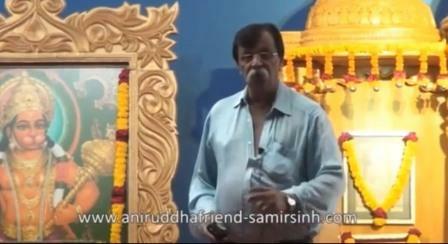 Let us begin this New Year with Sainath’s, Saibaba’s, Shreesaisatcharitra’s, Sai’s forum with the memories of Hemadpant. Through this forum, I would publish one article every fortnight which would be continued. It would be appropriate for every one of us who loves Sainath, who loves Shreesaisatcharitra from the bottom of one’s heart and one who loves one’s Sadguru, to participate in this forum wholeheartedly and actively. 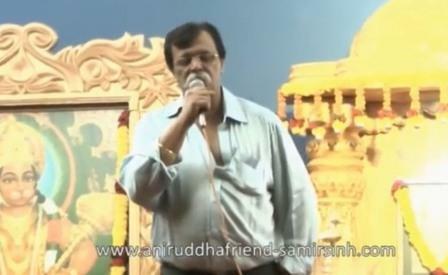 In Srimadpurushartha Grantharaj (Volume 2 – Prem;ravas), Parampujya Aniruddha (Bapu) refers to Shri Saibaba as “Majhya Annamay Koshacha Swami and Majha Digdarshak Guru” with immense love and reverence. Therefore, one of the two Mantrajaaps of his entire body of work is “Om Krupasindhu Shri Sainathaay Namah.” The same Jaap is chanted every Thursday during Upasana at Shri Harigurugram. With this post, let us begin our forum once again. Tons of Amabadnya Dada for starting back this forum once again. Shri Sai Satcharitra is more vast, more deep than any ocean a man can even think of. Every time a shraddhavan discovers a new realm when he plunges hinself into this lova ocean of Sai. Not only as a base for preparation of Panchsheel Exams, but the discussions in this forum will help a shraddhavan progress on his bhaktimarg. The flow of bhaktimarg in a shraddhavan’s heart will widen and deepen more and more even if he reads and admires the beauty of the posts discussed.